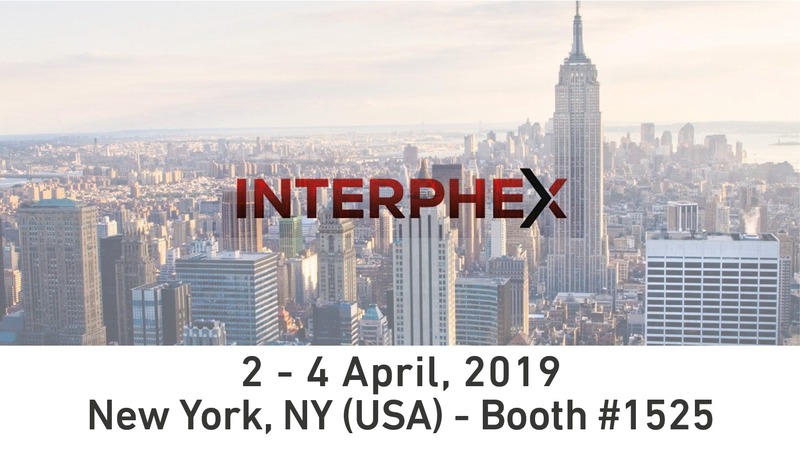 Booth #1525: make a note to meet us there at INTERPHEX 2019, taking place on April 2 – 4 in New York City. It is a battery-powered glove tester that performs leak testing on gloves installed on isolators or RABS where a strict separation between the isolated area and the external environment is required. Fast, portable, and ISO 14644-7 Annex E.5 compliant. Custom solution for your bulk sterile manufacturing studied to guarantee full automation, operator protection, and asepsis. Find out why we were chosen to redesign a Tissue Regeneration Laboratory using Isolation Technology for Improved Sterility and Lower Production Costs. Ask our team about all the technical solution details. Going to INTERPHEX this year? You can meet our team at Booth #1525: Pietro Bosi, Area Sales Manager, and Massimiliano Cesarini, Pharma & ATMP Global Sales Manager. They are experts in customized aseptic automation integrated within isolator technology and can discuss the specific requirements of your filling and assembly lines. Also, this year we are proud to participate as a company in a new initiative: IPS Technologies Tours at INTERPHEX. Comecer will participate in the “Continuous Improvement in Continuous Biomanufacturing” IPS Technologies Tour on April 3rd at 10.00 am and 1.00. If you want to participate, you can register here. So…see you in New York!